Contemporary, flirty and fun this fast forward boutique brings you a stylish selection of women’s clothing, shoes and accessories. 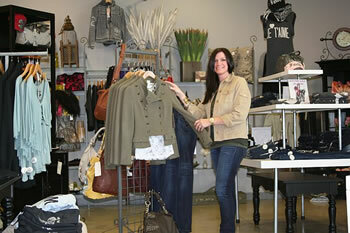 From fashion basics to finishing touches Swank is where smart women go to make smart choices. 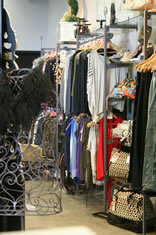 Swank has a chic, comfortable ambiance that bids a longer stay to find just the right new trendy, of-the-moment fashion. 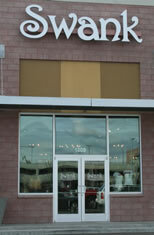 Located in North Town Square right across from the North Town Mall, there is easy access and plentiful, free parking. 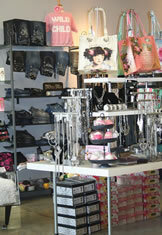 Offering a refreshing mix of fashions from boutique designers to popular lines, Swank carries items from Miss Me Jeans, Miss Me Couture, Free People, J Brand, Hudson Jeans, David Kahn, Rachel Pally, Twisted Heart, Mink Pink, Yummie Tummie, Spanx and many other lines hand picked by the owners. Swank offers an assortment of denim to die for with styles ranging from cargo and skinny zipper side slides to studded pockets and boot cuts. If your feminine side is showing through today then slip into the latest skinny tank dress, mini, strapless or cocktail sophistication. 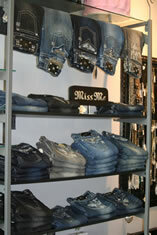 Besides the stylish tops and dresses hanging from every rack, there is also a collection of trendy accessories. A varied collection of designer bags and totes provide arm candy for the discerning fashionista who wants to look great but carry everything. 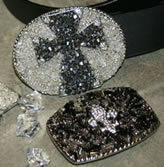 There is also a large selection of hard to find and custom jewelry including Delori Design buckles, Sisi Amber, & Little Miss Jewels. A lush selection of footwear offers choices from flats to boots, wedgies and platforms. Something for everyone who wants a unique shoe statement. Not to leave out fashions for the home, there is a carefully handpicked selection of candles, home decor and gifts to spice up your home, office or next gift. Feel great about pampering yourself as Swank offers many ecological friendly products with natural and organic fi­ber. More than half of the prod­ucts offered are made in the United States, with an emphasis on products and clothes offered by women owned companies. The fashion knowledgeable, creative owners make all the difference in this one-of-a-kind little boutique as they offer stylish advice and personal attention. You know you have come to the right place then the owners greet many of their customers by their first name! The attentive help makes the unbelievably great prices just the icing on the cake! If you need personal fashion advice or just plain great clothes, then Swank must be on your trip list for a unique boutique shopping experience!